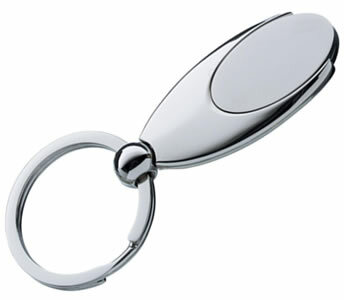 A very elegant metal keyring with a double eclipse design. With a polished chrome finish that instantly adds shine to your logo or message. Supplied in a black presentation box for added value. Price is inclusive of single colour print in one position. There is a laser engraving setup cost of £25 unless stated otherwise. Design / artwork creation is FREE on all orders. All prices are subject to VAT and delivery at cost.